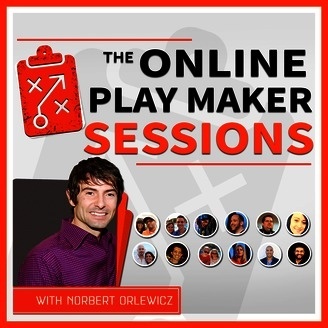 The Online Playmaker Sessions is a weekly podcast with Norbert Orlewicz where he brings you the latest “what’s working right now” strategies from the best online playmakers; the top marketers and rising stars who are making it happen right now. Every week you’ll get real, actionable lessons that you can take and apply immediately in your business, delivered in short 20 minute sessions. You will learn the exactly what the top marketers and new rising stars are doing in their online marketing businesses to generate leads, build their audience and generate revenue. Our focus is your results. 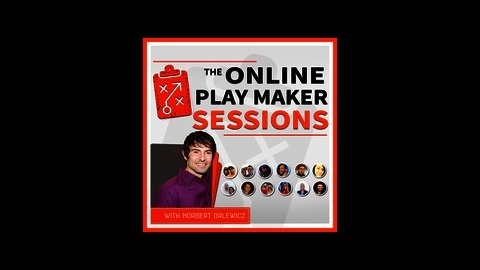 This is episode 58 of the onlineplaymaker sessions with author, speaker and marketing consultant Adam Holland. Adam Holland went from broke & unemployed to 7 figures in online revenue. He's an author, trainer, speaker, consultant, and serial entrepreneur. He currently runs his a digital marketing agency (AdamHollandMarketing.com), and a lead generation company (GuaranteedProspects.com) that has generated in excess of 12+ million visitors, 300,000+ leads, and over $10+ million in revenue for himself and his clients. He currently resides outside of Phoenix, AZ with his wife, 2 kids, and dog. This weeks onlineplaymaker Adam Holland.